“Political future? Or political fashion?” is what Derek Hough asked as he walked down the steps of the Wisconsin State Capitol in August 2017. During that same trip, he also went on a 5.54-mile run by the building. 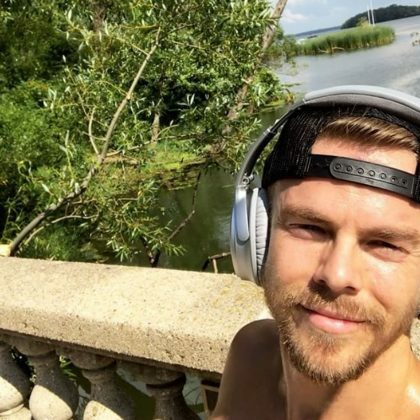 A shirtless Derek Hough went for a run around Madison in August 2017.